The approach I have taken to settlement generation involved identifying plots of existing landscape that can accept a building and then placing clusters of rooms on them. 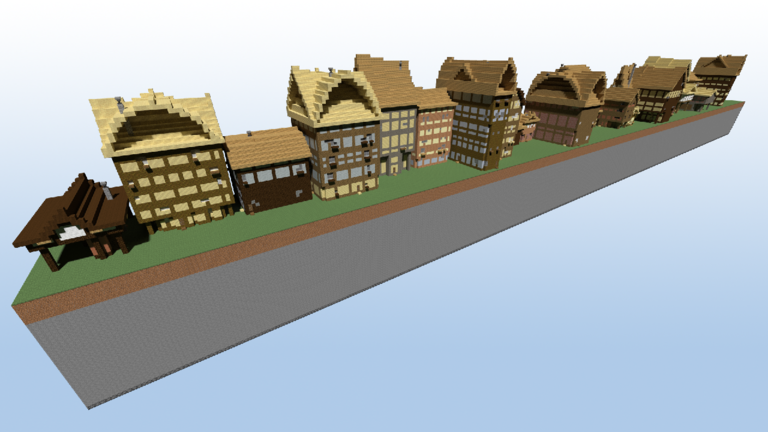 I populate the buildings with contents and then connect the buildings together with paths. The areas between the building plots are strung with low wall sections, and some farm land with various crop types are placed where possible. Building types include houses, towers, and a village square with a fountain. Placement of generated schematics on the landscape requires some minor adjustments to parts of the landscape. Sometimes it is necessary to create sections of building foundations to prevent parts of the flooring floating over air. 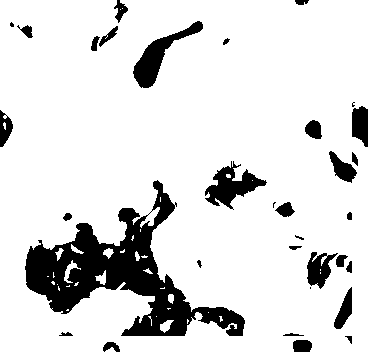 Buildings are a collection of rooms packed close to each other using a simple packing algorithm. The contents of the rooms are determined from a simple blueprint that associates the room type with a generation procedure. Orientation of blocks to line up with walls and avoid windows is done through the generator inspecting the area and making appropriate layout decisions. Windows, lighting, and doors are punched through the assembly at intervals to provide passage for the inhabitants. Carpet, crafting tables, furnaces, chests, beds and chairs are placed according to the room type to provide simple functional capabilities that an inhabitant might require. 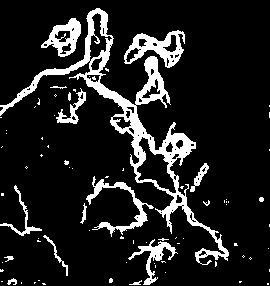 The algorithm profiles the landscape using a heightmapping approach. It then attempts to isolate areas of severe terrain height change, and then searches the remaining gently sloping areas for square sections that can be used to place buildings. Each settlement is defined by a blueprint which is a collection of feature generator names. The generators are delegated the responsibility to populate the region of the landscape with features. This framework is extended by adding a generator to the blueprint for a village. Each building plot centre is an anchor point that can be used to mark paths between the plots. By adjusting the number and weights of path plotting the settlement can get a ‘lived in’ feel. 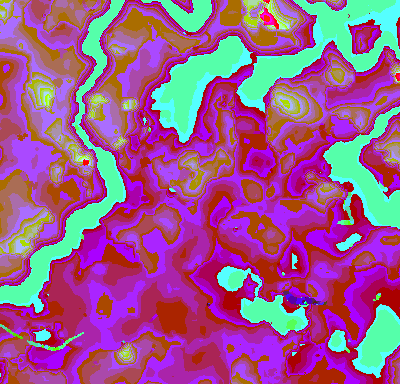 Establishing a voronoi graph for the plots in the settlement creates sections of landscape where walls can be placed. Adding a farmland generator was then as simple as creating a blueprint entry and writing the corresponding generator to create farmland, water source, fences and crops. I have been having fun this month peeking under the lid of the CTM Community. 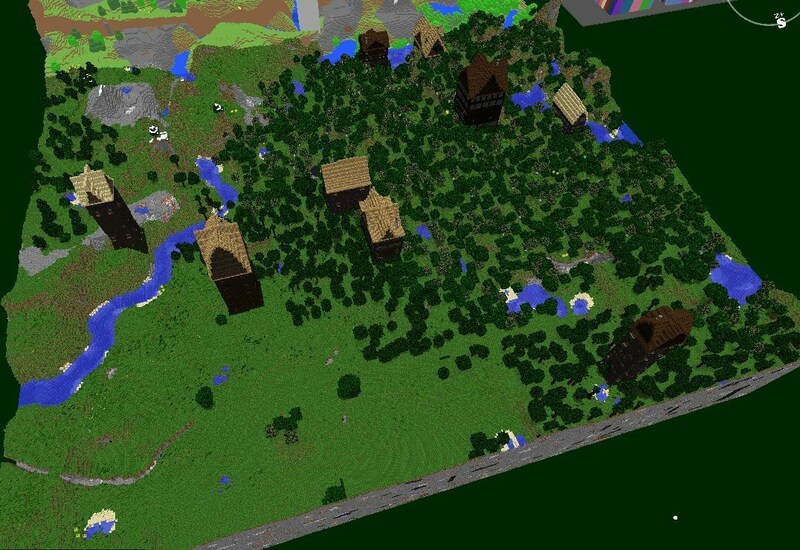 This is a world of Minecraft map makers who enjoy making and playing 'Complete the Monument' challenge worlds in Minecraft. These type of games involve overcoming challenges to secure items that can be placed in the world to build a statue. Typically the player is fighting their way through monsters to grab coloured wool to place on a pedestal. 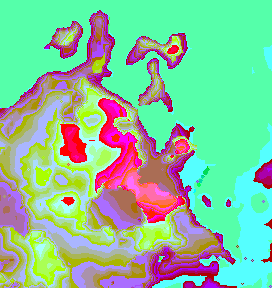 The community runs 'game jams' which provide a time boxed period for a map author to create a playable CTM map. 72 hrs is common, though there is a 3 hour micro map challenge as well. This is a very active group who are welcoming of newcomers. Issue 1 of MapMag is now available from here on the testfor[dev] site. Recently @Cubehamster has been dropping around to work on some interesting projects. (1) We launched an expedition around New Year 2016 to explore the massive Mandelbrot world I created using a custom Minecraft Chunk Generator. The place is huge and, in fairness, we probably need a few more people on the voyage to do discover all it has to offer. If you are after something large scale that may be a fun project, feel free to shout out. 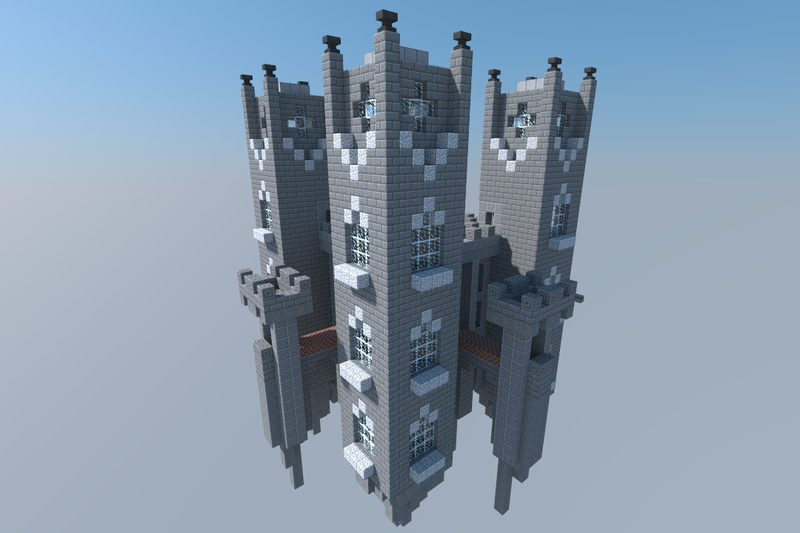 Who knows, I may just have some voxel art that does the job! 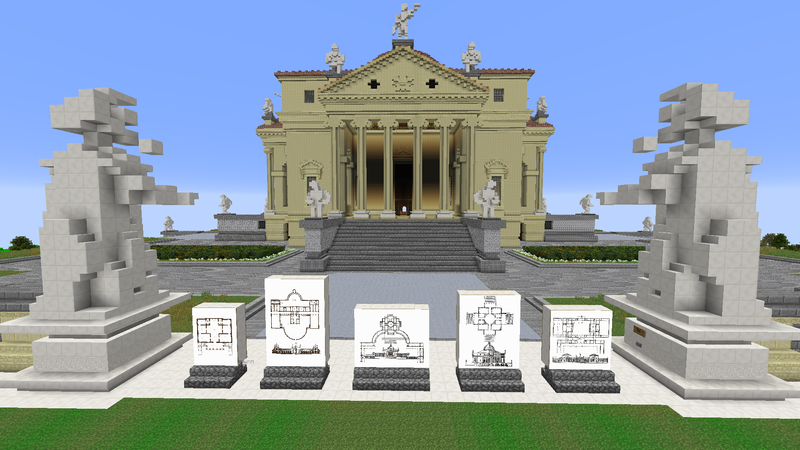 I am very proud of the project where the Royal Institute of British Architects (RIBA) have worked with Blockworks to release a construction set for Minecraft, themed around the massively influential Architect, Andreas Palladio. The Blockworks build is very impressive and worth exploration on its own, with in-game images of frescos from Italian Villas on the walls. The "game" has the player placing pre-fabricated walls/pillars/windows/statues around in Creative mode so you can create your own classic-style buildings quickly with most of the heavy lifting done easily. As a bonus there are sample floorplans and a dedicated build area where you can lay out your masterpiece, then go exploring the Blockworks' crafted Italian hillsides. Try washing in the fountain if you feel walking around is a bit slow. That cool water might just wake you up! If you want to start your build all over again then there is a big red delete button under a statue that will erase all your hard work, once you confirm the decision. 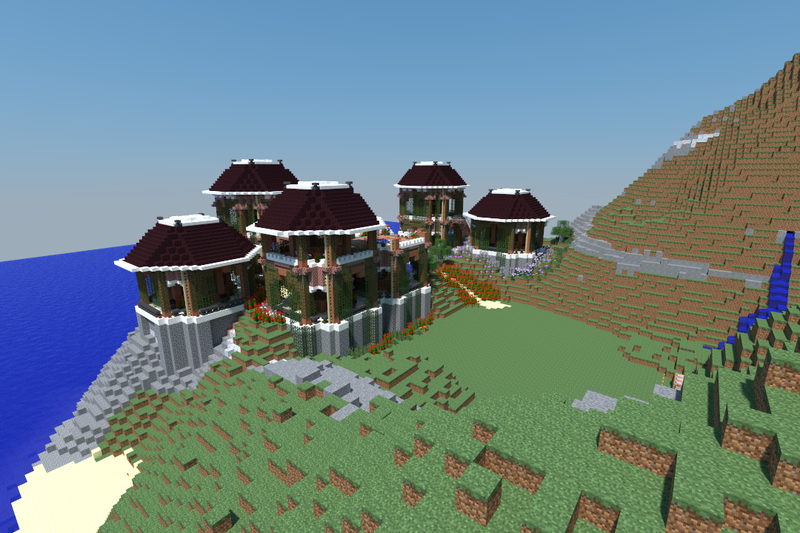 The game works at all render distances, but the floorplan feature and delete feature need 12 Chunk render distance. You can change the chunk distance to a smaller size while building if performance is a problem for you and adjust it only when needed.. Hover over the spawn eggs to see what they do. Stairs can be tricky to place - try to stand back 5 blocks. They are placed with their centre on the block you spawn them on. Use UNDO squid until you get the hang of it. Multiplayer may make UNDO unreliable - the last person to place a component will only be able to UNDO. Play Single Player for the best experience, and invite your friends in to look at your creation afterwards (leave them in Spectator Mode to prevent griefing!). Team building works great if one player places the building and friends touch up details using standard Creative mode. Have fun building your masterpiece, and remember to post a picture of your building to Social Media with the tag #PalladianMinecraft. Blockworks and RIBA will each select their favourite one! Limited Engagement (Twitter: @LtdEngageShow) discussion this issue in Season 2 episode 5. There are some great comments from the community on this video, so have a read and share your opinions. Sometimes I like to talk a lot. And when I do, I trick other people into letting me infiltrate their podcasts! (1) @rsmalec's Vanillla challenge is underway. Join in the fun by making a map in Survival mode without ANY 3rd party tools! I find it unforgiveable when "credit links" to the content author are left off videos. The Let's Player is only able to work because someone built the thing they are playing. Often this is a mod or custom map built for free by a community member. This behaviour reeks of exploitation. I find it annoying when there is a link but it is obfuscated by url shorteners. People won't click a link to god-knows-where. I am irritated by vast walls of "buy my merchandise" that obscures the content creator link, when present. The first piece of info in the video description should be "what I am playing, who made it, and where to get it".